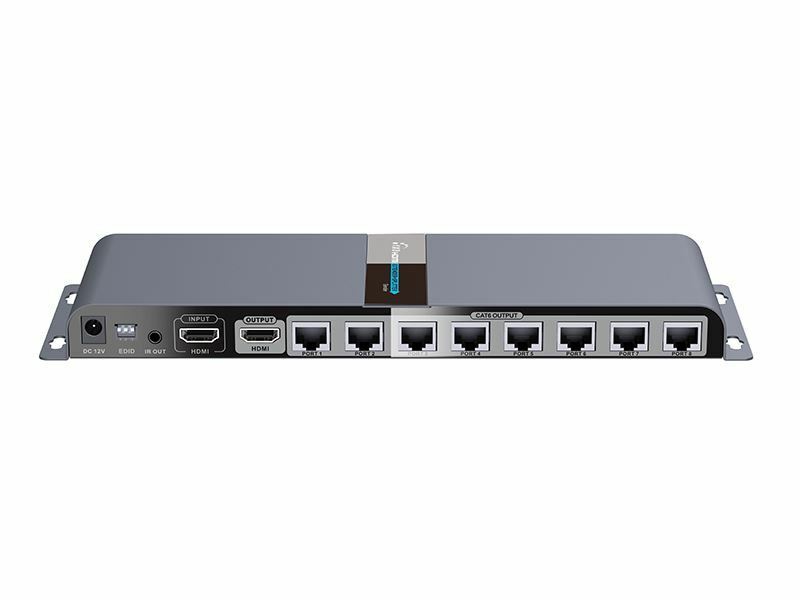 LENKENG 1 in 8 Out HDMI Extender. 1x HDMI in to 8x RJ45 out. 8x Receivers Included. Supports 1080@60Hz over Cat6 for up to 40m. Remote power receivers from transmitter. With local HDMI out. 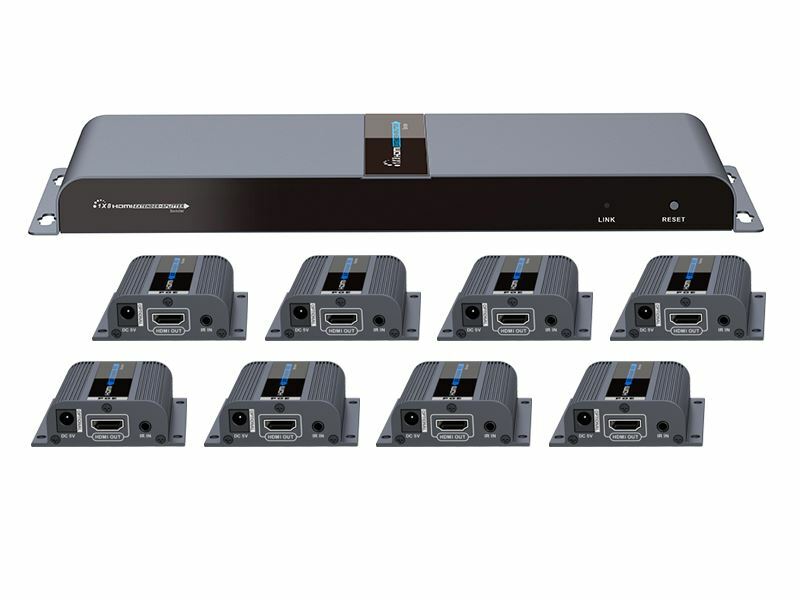 This HDMI extender splitter works with 8 x HDMI CAT6 extender receivers to distribute and extend 1 x HDMI source to 8 x HDMI displays over single Cat6/6A cable up to 40m/131ft. The highest resolution supported is 1920x1080@60Hz, supporting IR passback and EDID pass through. 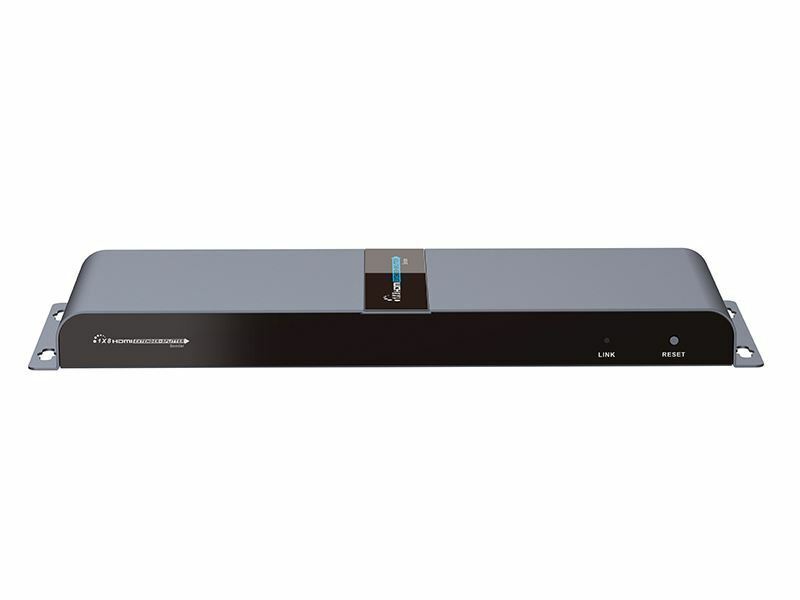 The LKV718PRO is the ideal solution for HDMI exhibitions, video conferences and show centres.